Burma Railways, run by the The Burma Railway Co. Ltd., is a meter gauge system, i.e. the distance between the two lines of rails is 1 meter. The first portion of the present (1927) railway system to be constructed was the line between Rangoon and Prome, 161 miles long. The survey of this alignment was made in 1869 and construction was commenced in 1874. The line was opened for traffic in 1877 under the name of the Rangoon and Irrawaddy Valley State Railway. The next construction taken in hand was along the Sittang valley north-east of Rangoon, the first section of 46 ½ miles to Pegu being opened on the 27th February 1884 and the second section to Pyuntaza – 87 ¾ miles from Rangoon was opened on the 1st August of the same year. This line was continued to Toungoo 166 miles from Rangoon on the 1st July 1885. With the annexation of Upper Burma in 1885 the extension of this line to Mandalay was pushed forward, the section to Thawati, 210 miles from Rangoon, being opened on the 11th July 1888 and to Pyinmana, 225 miles, on the 1st October of that year. The line eventually reached Mandalay and was opened for the remaining portion of the 386 miles between Rangoon and Mandalay on the 1st March 1889. In 1889 it was found necessary to double nine miles of the line between Rangoon and Insein – on the Irrawaddy Valley Line owing to the great increase in local traffic. As early as 1882 the rice millers, who had started mills in Rangoon, began to ask for sidings to their mills to facilitate delivery of the rice crop, the trade in this commodity having increased enormously owing to the opening up of the country which could not be reached by boats and the ready means of transport afforded by railway. and 724 ½ miles from Rangoon. The section to Shwebo 53 miles from Sagaing was opened on the 1stJuly 1891; that to Wuntho 153 miles from Sagaing in November, 1893. At the same time a short branch 6 miles long connecting Mandalay with Amarapura Shore station just opposite Sagaing was constructed and opened in February, 1892. A steam ferry was instituted to complete the link between the two stations. In October 1893, the section to Mohnyin, 243 miles from Sagaing, including the branch from Naha to Katha, (15 miles), was opened for traffic. The section to Mogaung, 295 miles from Sagaing was opened in 1897 and the last section of 36 ¼ miles to Myitktina in February 1890. ​While the construction of the Mu Valley line was proceeding a branch line westwards from Thazi – 306 miles from Rangoon on the main line to Mandalay was opened to Meiktila – 14 miles and Myingyan 70 miles, in 1893 and another branch eastwards of Myohaung – 3 miles south of Mandalay was commended in 1895. This branch was intended to reach the Chinese frontier at Kunlong and was opened as far as Maymyo – 43 miles from Mandalay – in April 1900 and to Nawnghkio a month later. In the meanwhile the construction of Gokteik Viaduct had been taken in hand and a portion of the work on the section beyond and on the 1st June 1901 trains were run across the bridge to Hsipaw 130 miles from Mandalay. The extension to Lashio, 181 miles from Mandalay was completed in March 1903. 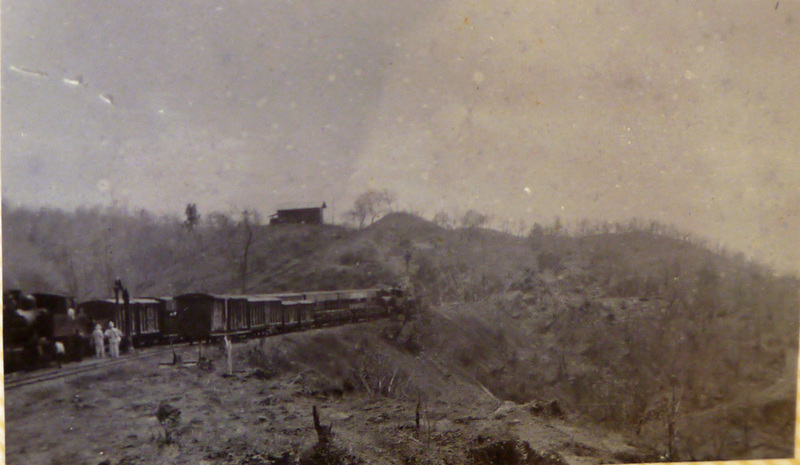 Later it was decided to abandon the construction on the line beyond Lashio. to Henzada on the other side of the river by a steamer ferry, the distance from Henzada Shore to Bassein is 82 ½ miles and was completely opened for tragic in April 1903. 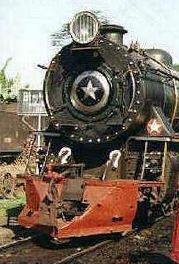 Subsequently a line from Henzada running 65 miles north to Kyangyin was opened in 1907. Another branch line was constructed from Pegu to Martaban 122 miles and a goods office opened in Moulmein on the opposite bank in September 1907, in conjunction with the Irrawaddy Flotilla Co. who run connecting steamers between Martaban and Moulmein. 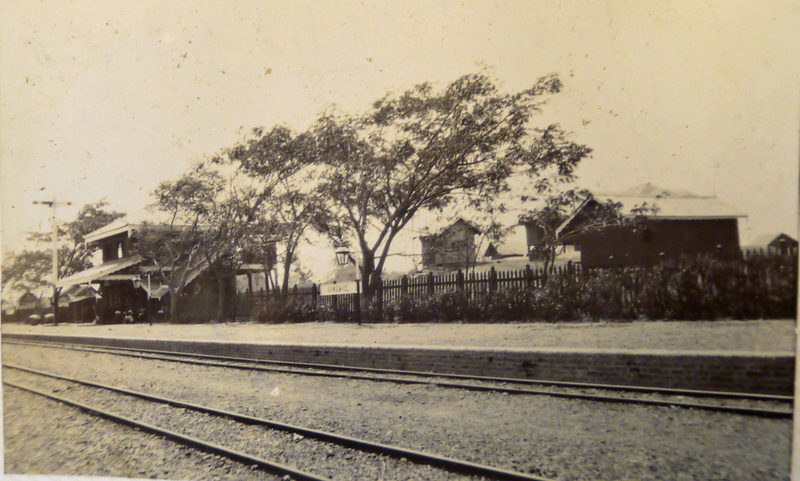 A branch line from Moulmein to Ye, 89 miles southwards was opened for traffic in April 1925. There is no interbooking with the main line and this line at present (1927) but will be introduced when ferry facilities have been installed, the construction of which is shortly to be commenced. In February 1915, the branch line into the Southern Shan States running eastward from Thazi was opened as far as Kalaw 63 miles and extended to Heho 87 miles from Thazi, in March 1921. A branch line to Taungdwingyi, 67 miles westward from Pyinmana was opened for traffic in April 1925, and the Sagaing Alon branch which is being extended 49 miles to Ye-U, and was opened to Segyi, 26 miles from Alon, in June 1923, will shortly be completed. ​and 14 Heho to Tayaw, 9 miles. ​​ The steady increase of traffic into Rangoon and the erection of saw mills, new wharves at the port etc., etc. ​​necessitated the construction of a large number of sidings and there is now a network of sidins round the outskirts of the town with entrance points at Pazundaung and Kemmendine. Several miles of sidings have also been put in at Bassein and at many stations on the main and branch lines where mills have been erected and there are now nearly 400 miles of sidings in existence. To meet the increase the increase of traffic into Rangoon it was found necessary to double the line for 30 miles on the Irrawaddy Valley line as far as Wanetchaung and on the Main line to Mandalay as far as Pyuntaza for 88 miles and these works were completed in February 1908 and June 1911 respectively. A further extension of the double line as far as Kyungon (176 miles) on the Main line to Mandalay was opened n the 23rd July 1926. The stations on the Main line for Rangoon to Prome and Mandalay are fitted with an interlocking system of signalling which reduces the danger of accidents to a minimum and the safety of the travelling public is still further secured by the installation of electric block signalling instruments between all stations on these lines. ​The coaching vehicles on the Mail and Express trains are all of the latest type of bogie vehicles and are fitted with electric lights and fans and give a maximum of comfort for the gauge of the system. 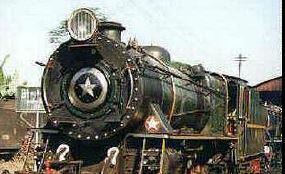 The engines are also of the latest type and are very powerful, especially the N class Mallet articulated engines which pull trains on the ghat sections of the Lashio Branch and Southern Shan States Railway. ​​The Railway system was originally worked by the State but was licensed to the Burma Railways Co. in 1896 on a lease which expires in 1928. Several of the branch lines also are also owned by the State though they are worked by the Company these are the Pegu-Moulmein, Henzada-Kyangin , the Southern Shan States Railway, Pyinmana-Taungdwingi, Alon-Ye-U and Moulmein-Ye.